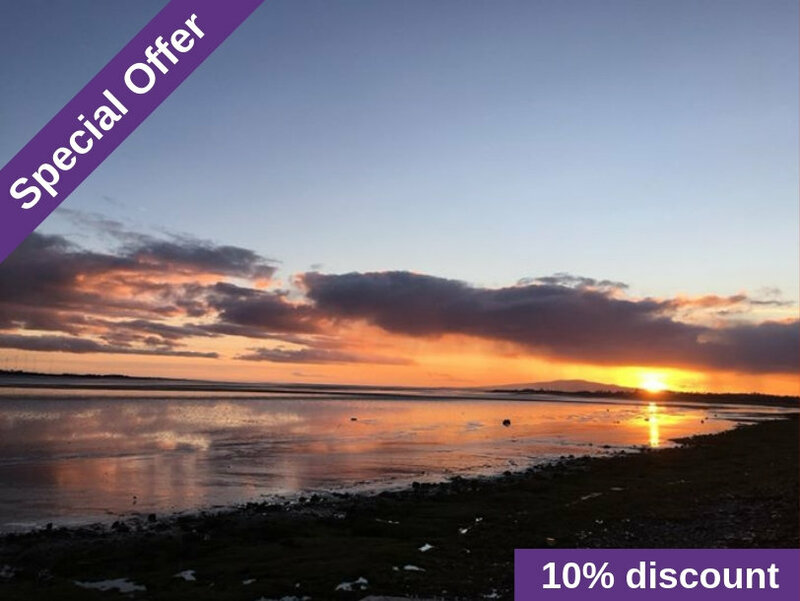 The Waterside Rooms offers 4 Star B&B directly overlooking the Solway Estuary in southern Scotland. Pottery House is a 4 Star GOLD B&B in the peaceful village of Dores with amazing views across Loch Ness. Just 15 minutes drive from Inverness, it is ideal for exploring the Highlands or just relaxing with lochside views. 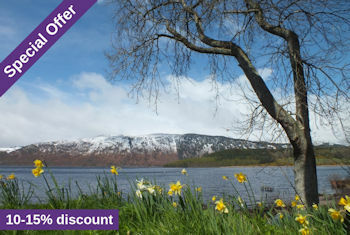 Book online for up to 15% discount on the standard prices when booked through Scotland's Best B&Bs. 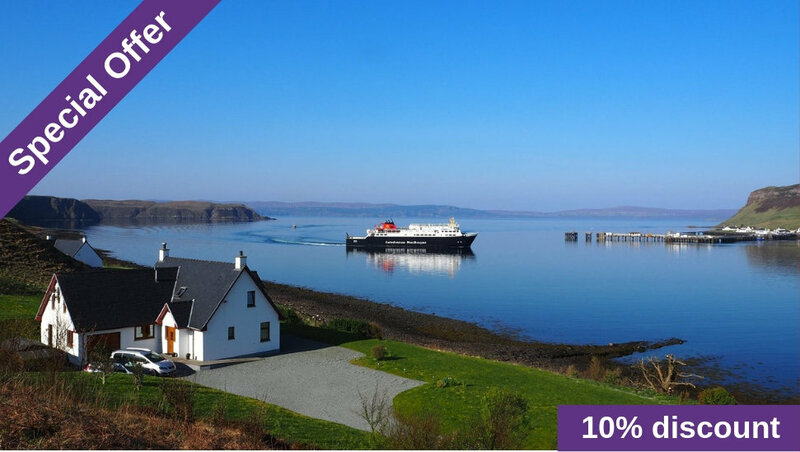 Valid on stays between 1 February and 30 April 2019. Simply select the non-refundable discount price when you book online through our links. Be pampered! The package includes one three course celebratory evening meal and one light supper at Glebe House. 2 nights for two people sharing including extensive breakfast, afternoon tea and cakes, one three course evening meal and one light supper. Relax the mind and body walking in the pure Perthshire air, with guidance on suitable routes provided. Take a short break and enjoy the luxurious suite accommodation and evening meal "at home" at Glebe House. With an excellent yoga centre in Dunning, why not include a class? Sara and Dave will help you with any arrangements you need to make your stay truly enjoyable and refreshing and offer a guided walk in the local area. 2 nights for two people sharing including extensive and healthy breakfast, afternoon tea and one three course evening meal. Let us take the strain out of finding places to visit during your stay at Glebe House. We'll talk on the telephone to understand your interests then give a list of suggested activities with web links and notes. 3 nights for two people sharing including extensive breakfasts, afternoon tea and cakes, one three course evening meal and assistance with your visit itinerary. 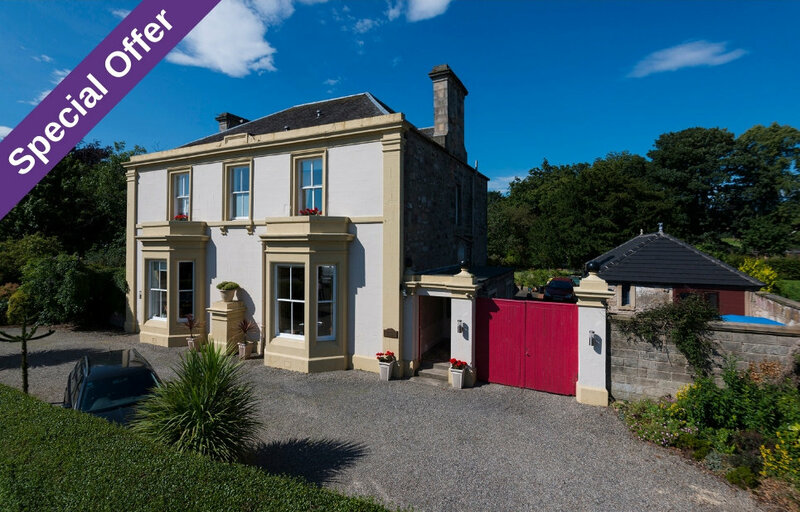 Book these packages direct with Glebe House by telephoning Sara on 07761 670681 or via online booking - just quote 'Scotland's Best B&Bs Explorer / Healthy Package'. 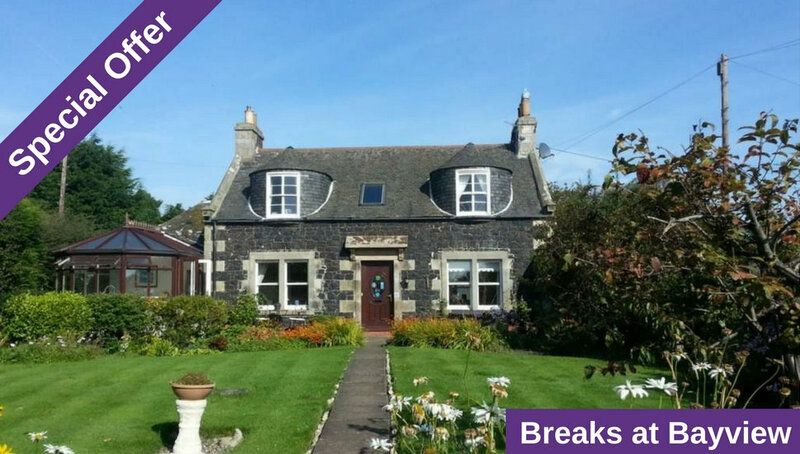 Bayview is a 4 Star GOLD B&B situated in the Kingdom of Fife, just 11 miles from historic St Andrews. Stay at Bayview 2 or 3 nights and get one night half price - valid on stays from 4 January to 30 April 2019 (offer not available in conjunction with any other offer). Subject to room availability and booking Terms and Conditions. Quote SBB&B Spring Offer.